Celebrity Couple Kylie Jenner & Tyga: Is Fighting Good or Bad? 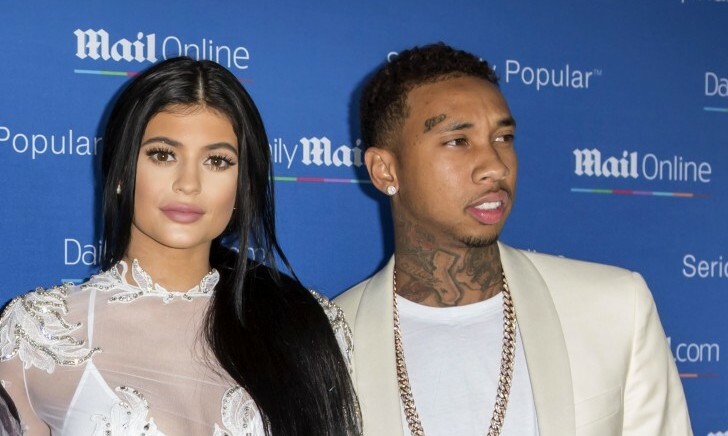 Current celebrity couple Kylie Jenner and Tyga recently revealed that they enjoy focusing on the fun things in life and “don’t really fight” in their relationship. They admit to disagreements occasionally, but not all-out fights. One of the ways they do this, they said, is by ignoring negativity. While this can create a very enjoyable and pleasant relationship in the moment, if it means brushing disputes under the rug for fear of where they might lead, it is possible it can create difficulty down the road. It is important for all couples to address any concerns or differences of opinions so they can learn to work through conflict together. Here’s some relationship advice. Focus on points of contention. Being hesitant to delve too deep might prevent people from being able to truly share their feelings and needs. With that in mind, the question becomes is fighting in a relationship good or bad? Arguing in and of itself can be very upsetting, so it isn’t surprising that some people look to avoid it completely. The problem is that if you do that, you will close off an important channel of communication that can eventually lead to a better place. There are few couples who don’t occasionally encounter a disagreement, feel annoyed with the other, or have concerns about something. When that happens and the issues are sidestepped and left alone, they can fester and grow into bigger problems that, if they go on long enough, can be destructive to the relationship. In order to continue as a couple with a strong foundation, you need to have methods to work out the clashes that inevitably arise between you. An intense fight might not be the way to do that, but often an argument is the first attempt at addressing what is bugging you. Being able to voice your concerns in a respectful way so that your partner has a chance to hear what’s on your mind and not get defensive is a good place to start. This enables you to take an important step toward listening and understanding each other so you can reach a compromise that feels fair and balanced to you both. The key is working to get beyond that first intense burst of anger when your temptation is to lash out and hurt the other person. If you get stuck there it can work against you as a couple. The real goal of an argument is to problem-solve so that you can find a better way of handling things going forward. The first step is to steer clear of name calling, blaming, criticizing, or attacking your partner. While that lets your anger out in the moment, it can leave your partner feeling wounded and wanting to retaliate against you, which shuts down your attempt to work things out. The aim is to reach a point where you feel cared about and know that what matters to you is also important to your partner, so that you can trust that your needs will be met. Another tip is to pay attention if things are getting too heated and out of control. When that happens, take a deep breath and hit the hold button. Use this skill to take a break so you can both cool off before you broach discussing the topic again. One important aspect of hitting the hold button is that you agree on a time when you will resume the conversation so it is not left hanging, giving either one of you the chance to feel resentful. When you resolve an argument it can play an important role in helping you feel closer and more intimate with each other since you’re able to get beyond it and feel understood. Although Kylie and Tyga’s choice is not to argue, making room to do so could be a good choice for you.